Michelle Barrett Falconer | Littler Mendelson P.C. She has represented a variety of employers in federal and state court litigation, employment arbitrations, before the National Labor Relations Board, and before other state and federal agencies. Michelle also frequently provides sexual harassment and other management and employee trainings. 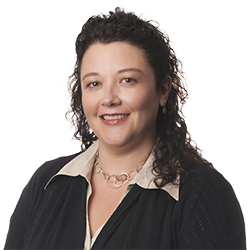 Prior to law school, Michelle worked as a Human Resources Representative for one of the largest privately held agri-business firms in the United States where she developed training programs and dual language tests for employers.